Drum roll please… Inspired perhaps only by cooking show contestants who have had to follow a number of recipes recently, I challenged myself and cooked from a cookbook! 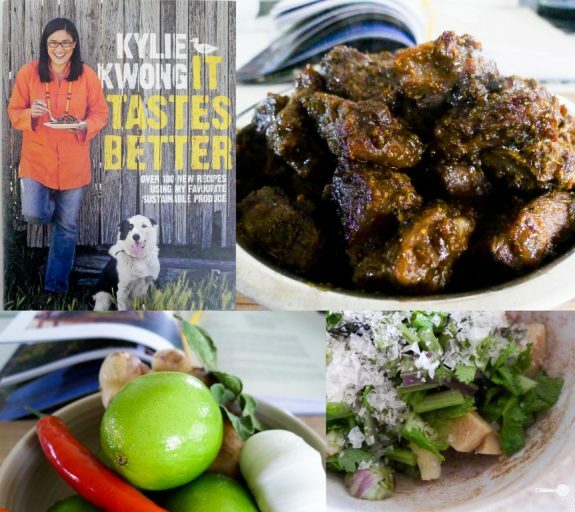 From a whole bookshelf of cookbooks and food magazines I’ve been collecting for years – inspiration is a great thing, I’ve chosen Kylie Kwong’s It tastes better. Why? Because I strongly believe that well-looked after ingredients do taste better. And because I’ve still got a lot to learn about Asian cooking. Having said that Kylie’s recipes are very approachable. Especially in this book which features not only her Asian-influenced dishes but also some Western-style favourites from the various producers. 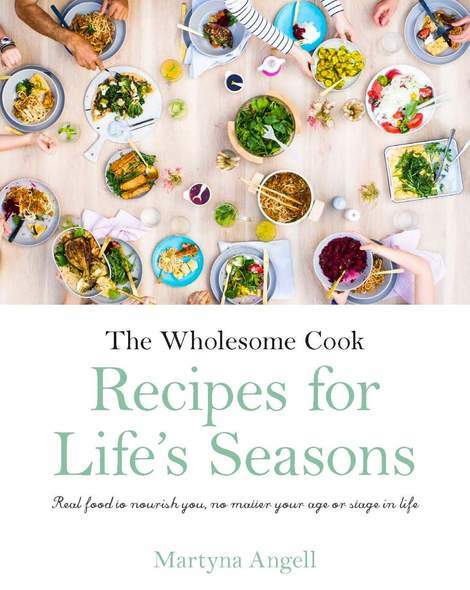 It is a great all rounder cook book. And an excellent story book about the love and passion that goes into making the produce as good as it is. Now, I did amend the recipe slightly. I used beef oyster blade steaks not because I thought they’d be better, but because I was unable to find oxtail at my local shops. The meat has a good amount of connective tissue to make it sticky, flaky and gelatinous – similar in texture to what I imagine the oxtail would be like once cooked. It is a great winter dish with a complexity of warm, spicy flavours and the richness of slow-cooked beef. To balance the richness of the beef I served the dish with my favourite, Chinese cucumber and garlic salad. It provides a nice burst of cool freshness to the dish. If you would like to try your hand at cooking some of Kylie’s recipes, you can grab Kylie’s $2 mini Simple Chinese Cooking which is out today as part of the Daily Telegraph’s / Sunday Telegraph’s Food Month mini cookbook series. See your newsagent for details. The original recipe calls for oxtail, but if you are unable to find the cut you can use other cheap cut that’s suitable for slow cooking, I used oyster blade steaks, but gravy beef would do just as well. Preheat oven to 180C (160C fan forced, 350F, gas mark 4). Garlic cucmber salad: Peel the cucumber and cut in half longways. Using a teaspoon, remove seeds. Slice into 1cm thick chunks. Add garlic and oil. Mix and place in the fridge until ready for serving. Dry spices: Place fennel seeds, star anise, cardamom pods, cumin seeds and peppercorns in a small pan and dry-roast over a high heat until fragrant. Transfer spices to a plate and allow to cool. Place cardamom pods into the mortar and pestle and bruise lightly. Discard husks. Add all of the remaining dry spices and pound until all spices are finely ground. I cheated here and used my trusted coffee grinder. Paste: Place chillies, garlic, coriander, ginger, galangal, dry spices and olive oil into a measuring jug. Using a stick blender, blend until smooth. Transfer paste into a medium pan and cook on high, stirring, unitl fragrant. Reduce heat and simmer for about 10 minutes. Add brown sugar and fish sauce. Increase heat and simmer for a further 2 minutes, stirring constantly, until the mixture has slightly thickened. Remove from heat and set aside. Beef and braising liquid: Place beef cubes in a large pot and cover with cold water. Bring to the boil and simmer for 10 minutes. Drain beef then rinse it thoroughly under cold water to remove any impurities. Pat dry with paper towel. Season beef with salt and pepper. Heat a little oil in a frypan until hot. Cook beef for a couple of minutes or until golden brown on all sides. Transfer beef into the pan with the spice paste and mix well. Add half the chicken stock and mix to loosen up the paste. Transfer beef with paste and stock into a roasting tin. Cover with stock and add kaffir lime leaves. Cover roasting tin with aluminium foil and roast for 1.5 hours. Remove foil and roast for a further 15 minutes uncovered, until the meat is nicely browned. Serve with steamed rice, garlic cucumber salad and lime wedges. The roast beef is a bit beyond my abilities, but the cucumber salad looks so easy, which is GREAT as it’s a favourite new dish of mine to eat when I’m out having dumplings. This looks really interesting, i have never cooked i with oxtail. i was inspired by you mentioning kylie kwong the other day and so i pulled out ‘heart and soul’ and in fact cooked a dish from it tonight. It was certainly interesting – very vibrant and strange, but delicious at the same time. Mr Chipconnoisseur thought it was “different” I liked it. Not sure whether it was the dark colour of the meat or the various flavours that made him say this. He isn’t either. Overall though, he liked it. Roasted and Grilled foods are my fav foods. I will give it a try on next week end. Enjoy! one of my readers made it recently and loved it.